ELIGIBILITY: All PA-18 series aircraft are eligible to be modified so that the aircraft can operate legally at a 2300-lb gross weight via Cub Crafters' STC SA01633SE. The STC allows for useful loads of over 1,100 lbs on wheels and over 800 lbs on Wipline amphibious floats. APPLICABILITY: There are several components to the STC and ALL Piper PA-18 aircraft are eligible including the L-21 and PA-18-95. FLIGHT MANUAL: the 2300-lb gross weight STC requires a new Flight Manual Supplement for operation at the new weight. A 200-lbs baggage capacity is included in the Flight Manual as are ICAO performance charts for take off, climb, cruise, and landing performance date. INSTALLATION: The 2300-lbs gross weight increase is best completed during a complete aircraft rebuild as this STC requires a new (or some Univair fuselages can be modified) 4130 fuselage and new wings. 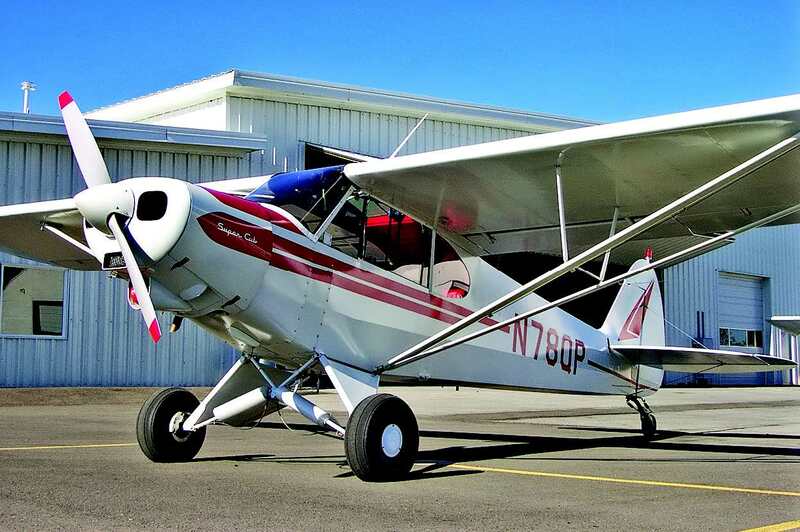 The STC also requires new wing struts and Cub Crafters' heavy duty 3-inch extended landing gear. The STC is compatible with extended ailerons, drooped tips, and Dakota Cub fuel tanks. *Some Univair fuselages built prior to 2006 will need to be modified to be eligible for amphibious floats. 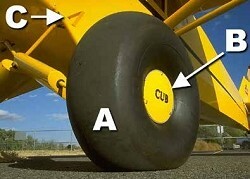 New fuselages ordered through Cub Crafters will not need modification for use on wheels or floats. 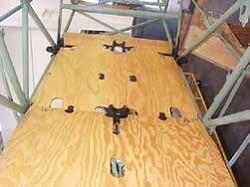 Check with us to determine if your Univair fuselage must be modified. All Univair fuselages may be modified for 2300 Lbs on wheels. Fuselages built by Piper or by Airframes Inc. are not eligible at this time. It is best to check with us prior to beginning work as to the question of eligibility and compatibility with other STC's.